Bakrid is celebrated by Muslims around the world in remembrance of the legendary Prophet Ibrahim who agreed to sacrifice his son Ismail before God intervened and gave him a sheep to sacrifice instead. This festival is observed with great piety by the Indian Muslim community as part of their rich culture and fraternity. 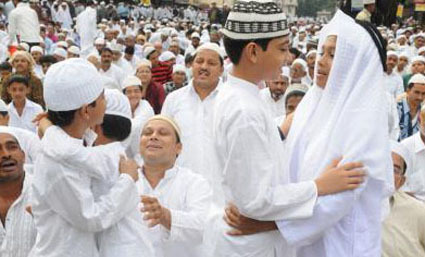 Yoovite.com gives the followers a great option to invite their friends and families to Bakrid celebrations and indulge in the various activities involved. All round the world, Muslims on this day make holy animal sacrifices to honor the God. Usually four legged animals such as goat, sheep, camel etc. are slaughtered and their meat is then used to prepare various dishes. You can invite your friends if you plan to go to any holy place such as Mount Mina where this holy practice is conducted. Food is the main ingredient in Bakrid. There are many popular Bakrid recipes that you can think of while giving a party in your home or elsewhere on this special day. Most of these are non-vegetarian variety. Banjari Gosht, a mutton recipe is really delicious with authentic Indian spices and yogurt. Also Chicken Makhani, Gustaba, Keema, Mughlai Chicken Curry, Kashmiri Biriyani, Handi Biryani, Arabian Biriyani, Naan, Kadhai Chicken etc. are a few names that come to mind when you hear about Bakrid. In addition to the main course dishes, there are snacks and sweets such as Kofta kebab, Haleem, Badami Chicken, Nargisi Kofta, Naan, Baklava, Sohan Halwa, Gulab Jamuns and Emarti that would leave the gourmet in you satisfied. 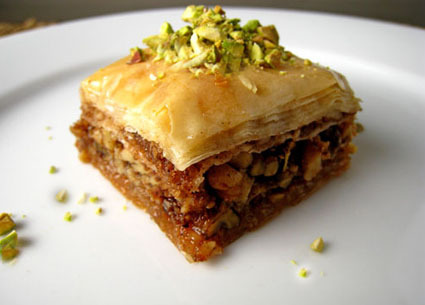 Fans of exotic food would like Basbousa, Turkish Baklavah, Sawine, Balusahis, Lebanese Jounieh Sfoof, Maleeda, Burfi, Ammama Bread topped with Cherries, Apricot Tarts, Tunisian Emeralds etc. as well. You have to get up early, take bath and go to the mosque. Why not invite your friends and relatives to join you on your way to the mosque? Attend the “salah” and recite the “takbir” together. It is required that the Eid prayer be given in congregation and in different sections with a different takbir each time. You can break the fast together on this happy occasion and enjoy the power of togetherness. You can also arrange for family gathering within your house itself. Greetings - You can send greetings to your friends and relatives during this auspicious occasion. You can share what you feel about them in very colorful ways. Shopping - You must wear new clothes during this festival. Hence shopping is a great part of this festival just like any other.